Nuno Mendes’ new venture certainly warrants attention. 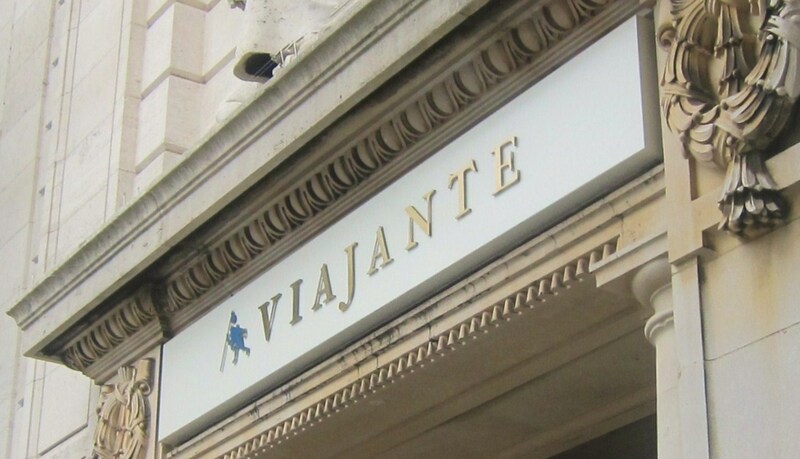 Much like the “travelling” theme of the restaurant, it is clear that Viajante is embarking on a journey. Its kitchen has a fascinating pedigree and there are flashes of brilliance, both in the food itself and the design. I am eager to visit again once they have progressed further along their path to discover what it is they want to become. 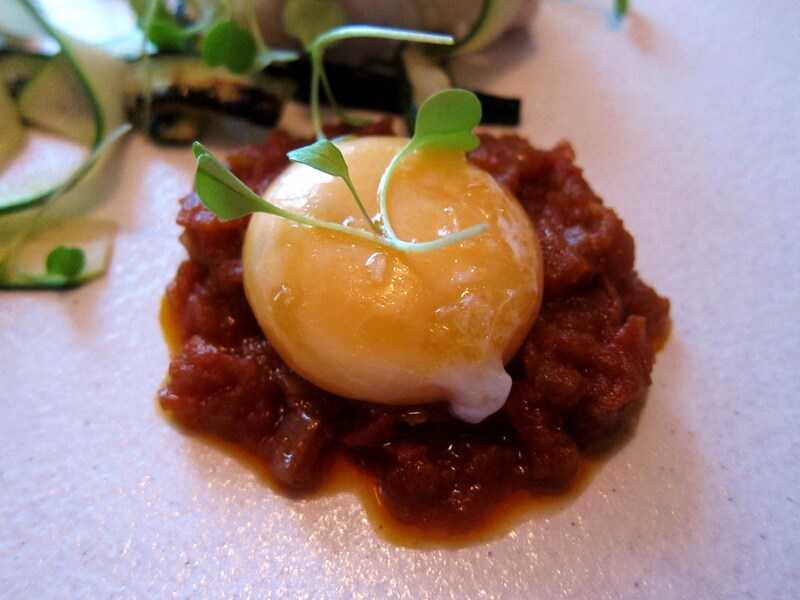 But for now, £25 for 3 courses with so many extras has to be one of the best fine dining values around! 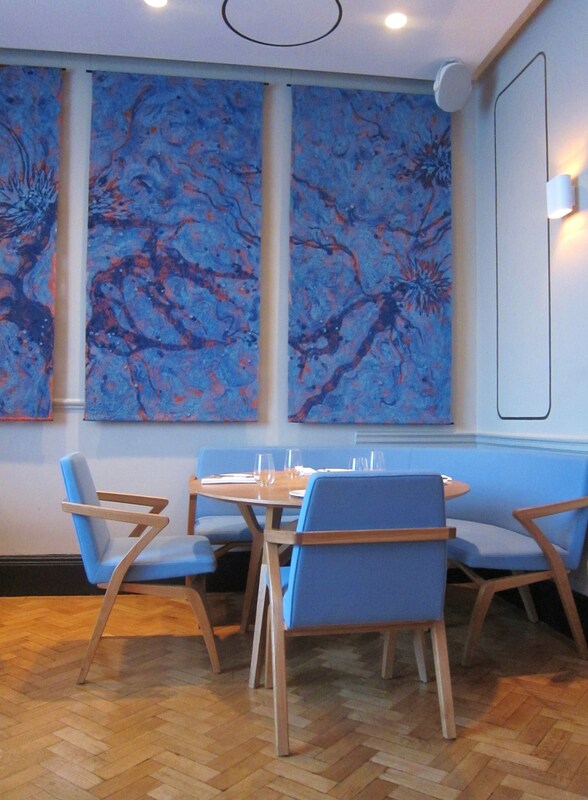 True to form, I am pretty sure most London-based food bloggers have already reviewed Viajante, and if you are from London, you quite likely already know a bit about it. Nonetheless, I believe that some degree of context is always useful – but if you don’t need it, please skip ahead to the part about the meal. 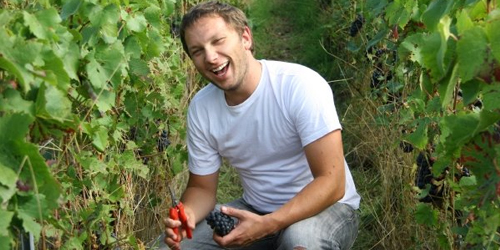 Viajante is the newest venture of Nuno Mendes, an intriguing Portuguese chap who was formerly chef at London’s Bacchus and also runs a supper club called The Loft Project. 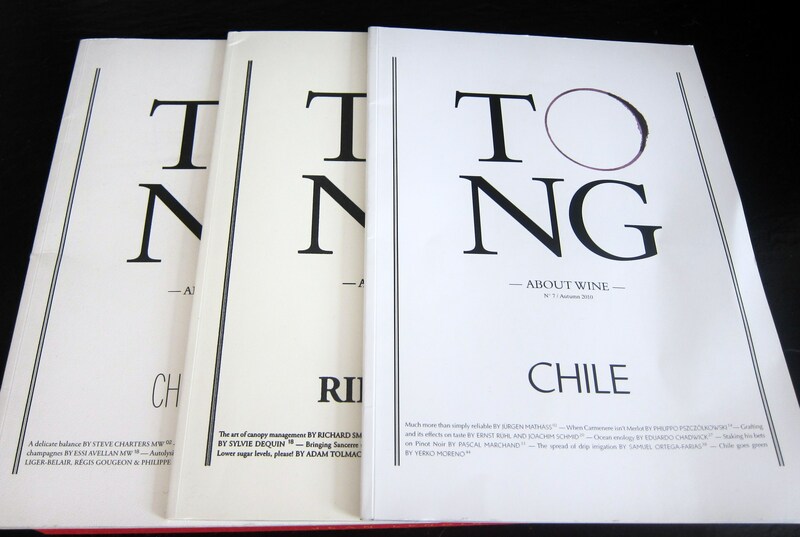 Nuno also notably worked at El Bulli and has travelled the world working in various exciting kitchens. The Loft Project features notable chefs from all over the world who take up residence for a few nights to cook in an open kitchen to a table of 16 random paying guests (for reference, a review of the meal I had when Samuel Miller, Sous-Chef from noma, was cooking can be found here). As I understand it, The Loft Project sort of proved as a testing ground for Viajante, while Nuno figured out what type of food and experience he wanted to offer diners. The restaurant itself took a long time to develop, and after a somewhat prolonged soft opening, it finally reached fruition. 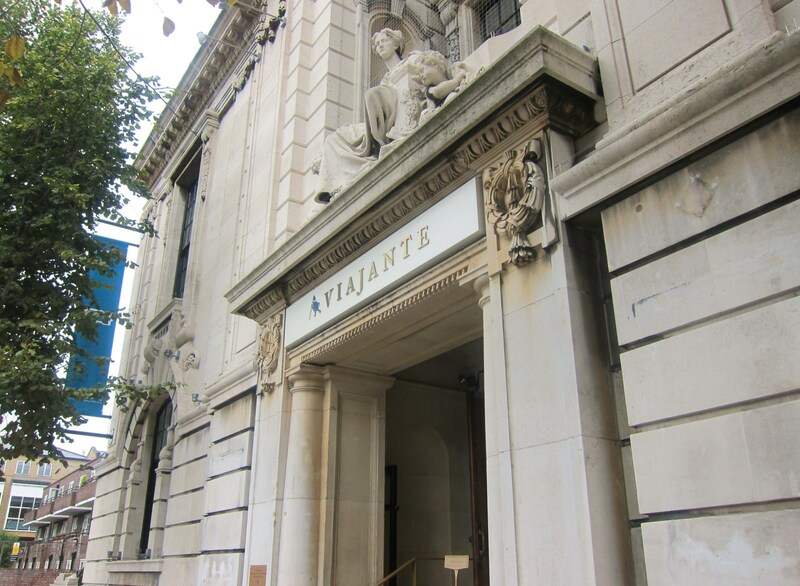 Viajante, which is means ‘traveller’ and is therefore apt – also because the kitchen is made up of chefs who have done stints at major international restaurants – is located within the Town Hall Hotel in East London’s Bethnal Green. There, now that wasn’t too painful , was it? I dined there for lunch during my last week living in London (sob), and had the pleasure of sharing the meal with kindred foodie spirit (and actual person) @gourmetraveller. She, of course, had already dined here many aeons before our rendezvous. She said the food had been interesting and that it made for an engaging dining experience that was quite unique in London at the moment (see her review here), so she didn’t have a problem returning for another meal there. Either that or I’m irresistible. In any case, I am pretty sure that she didn’t tag along just because the second part of her online identity shares the same meaning as the restaurant. Cue snare drums. I had actually taken my first ever half-day off from work to have this lunch so that I wouldn’t have to rush back to the office, most likely too cheerful from inebriation that my colleagues would be highly suspicious given my otherwise rather cantankerous office disposition. 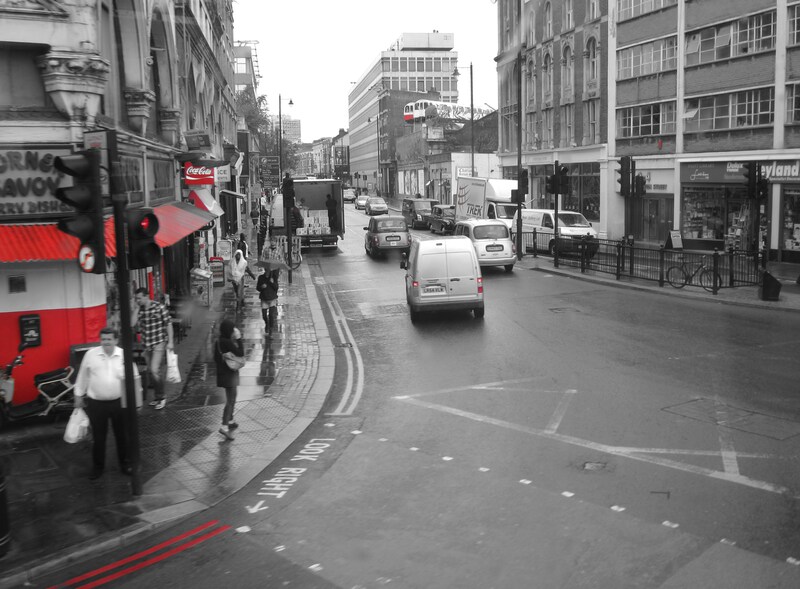 I rode solo on the top deck of red London carriage and took in the rawness of the ever-effervescent East London landscape. It was a cold, wet and dreary afternoon, and I was all too happy to get inside the Town House Hotel’s front door a-sap. Upon stepping through the main entrance, there is a bar through the glass doors on the right, which interestingly is not housed within the dining room, while the restaurant proper lies through the glass doors to the left. 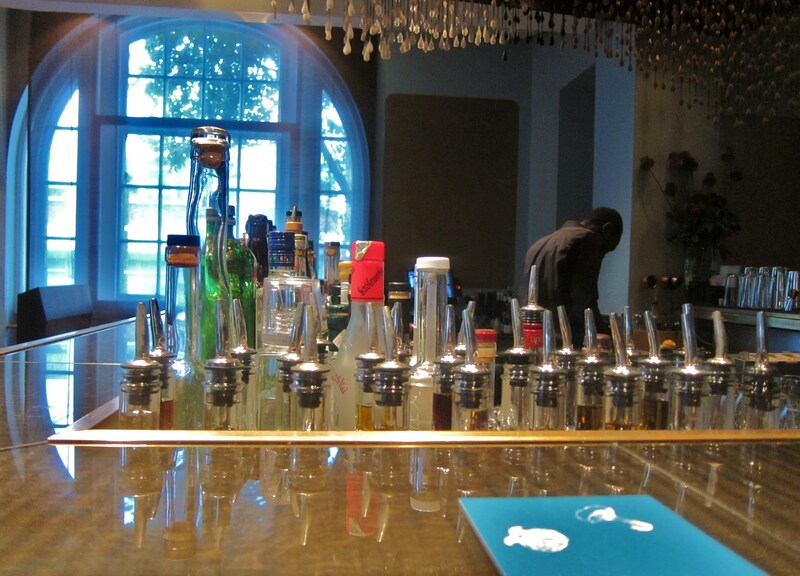 The hostess informed me that @gourmetraveller had already arrived and was in the bar. After some quick detective work (à la Jonathan Ames in Bored to Death – sans the horrible raincoat), I realized she was not there. It was just me plus Nuno and a couple of people who were obviously trying to pitch something to him over in the corner. A very friendly young barman gave me a drink list to peruse as I waited for the ghost of GT past to arrive. He said he could report no sightings of the said apparition, but I barely heard him as I was quite intrigued by the sound of some of the liberal libations on offer. Just as I was getting down and dirty (so to speak) with my Breakfast Martini, she appeared from the bowels of the building, where I presume she had been attending to her own bowels. Greetings were dispensed and a second drink menu was proffered for the good lady. 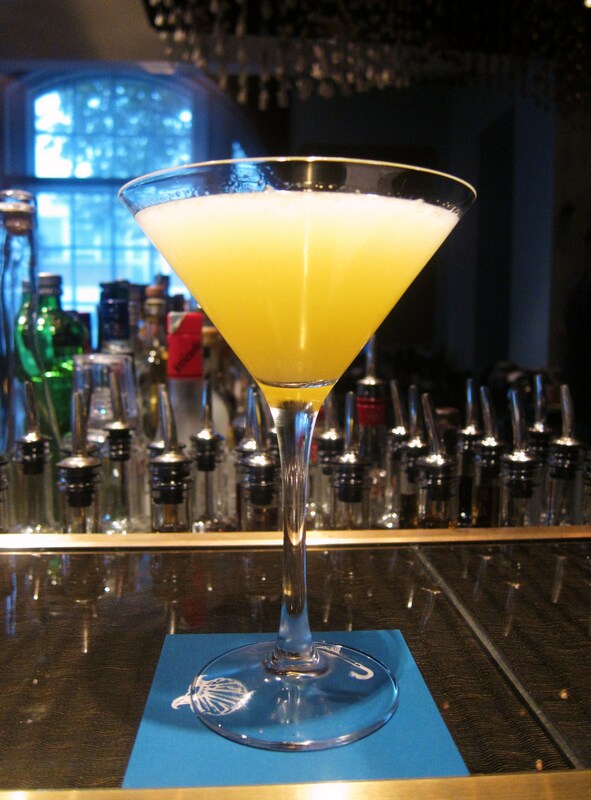 Meanwhile, I was enjoying a slightly sweet concoction made from vodka (normally Chase Seville Orange Marmalade but they had run out so something else was substituted), Cointreau, fresh lemon juice, orange juice (or grapefruit if you prefer) and honey. It was certainly easy to drink. The tardy gourmand ordered the fascinating sounding (and looking) Green Traveller, seemingly not perturbed by the fact that she was taking this name similarity business to a whole new level. 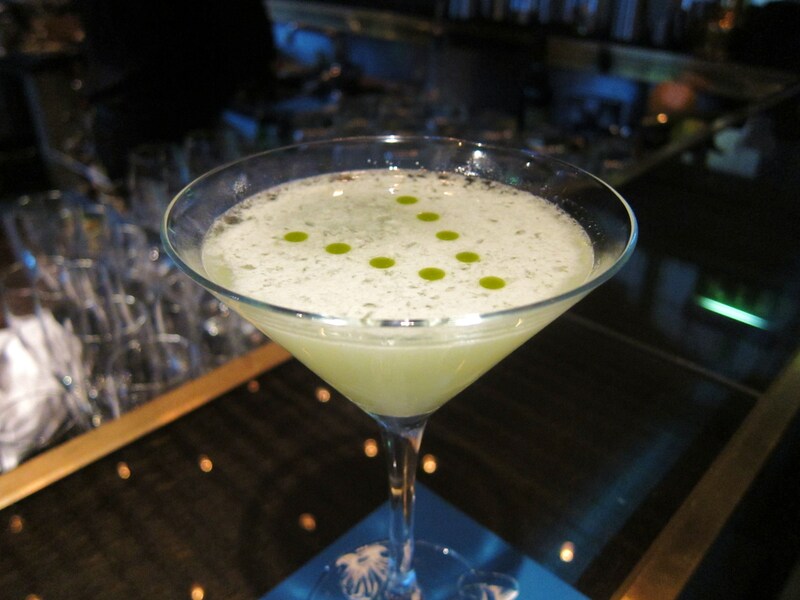 Her drink was made using fresh lemongrass, Tanqueray, Green Chartreuse, fresh lemon juice and orange bitters – with Thai basil bubbles to make you feel comfortable that the drink was worth what you were paying for it. She didn’t seem to be complaining, and my one sip had me liking this one better than my own pretty decent cocktail. Appetites and livers duly whetted, we headed over to the other side for the culinary shenanigans to begin. Our table was booked quite late in the lunch service, and unfortunately the more extended tasting menu was not available at this time. We settled for the seemingly good value 3-course menu at £25. 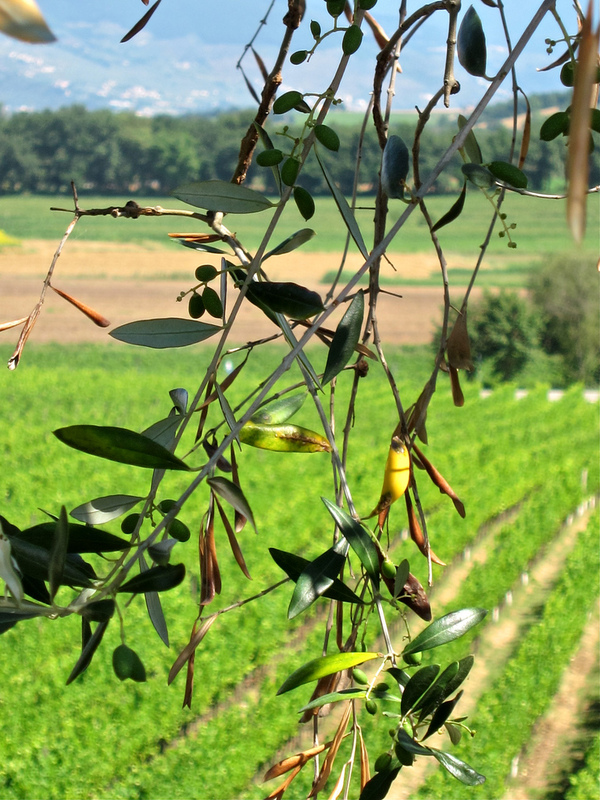 As there was no menu to choose from – the kitchen decides what they will serve you on the day – we took in the surroundings. We were seated in the back part of the dining room, which is semi-separated by a wall in the middle with wide passages on both sides. I was digging the calming blues and warm wood tones of the place, and liked the natural light that was afforded by the large windows – although it made it hard to take decent photos of the food, given my still pretty limited abilities as a photographer. 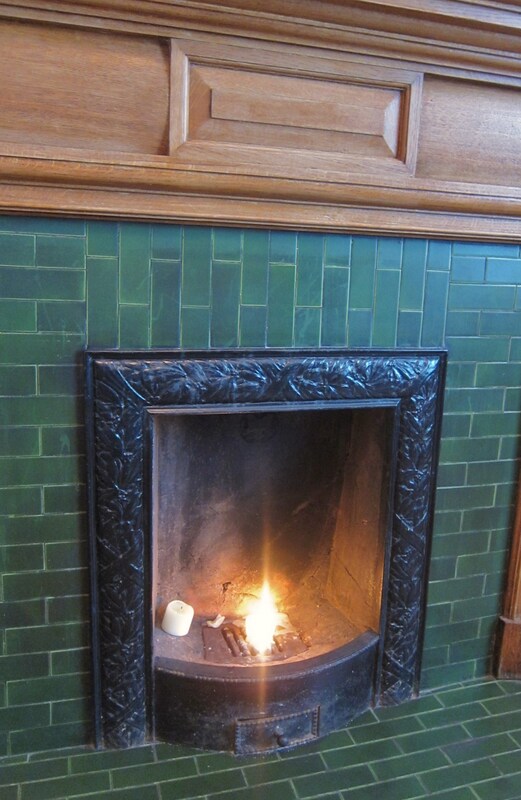 The only thing that stuck out – and it really did seem out of place – was the old-fashioned green tiled fireplace nestled directly behind us. Otherwise, it was a fairly sparse modern space, but I certainly didn’t find it cold or off-putting. It is the kind of room you can tell has been scrutinized in painstaking detail even though it doesn’t seem like there’s that much to it. Stilted? Maybe, but I was quite comfortable at our table, which was well-spaced apart from the other diners. 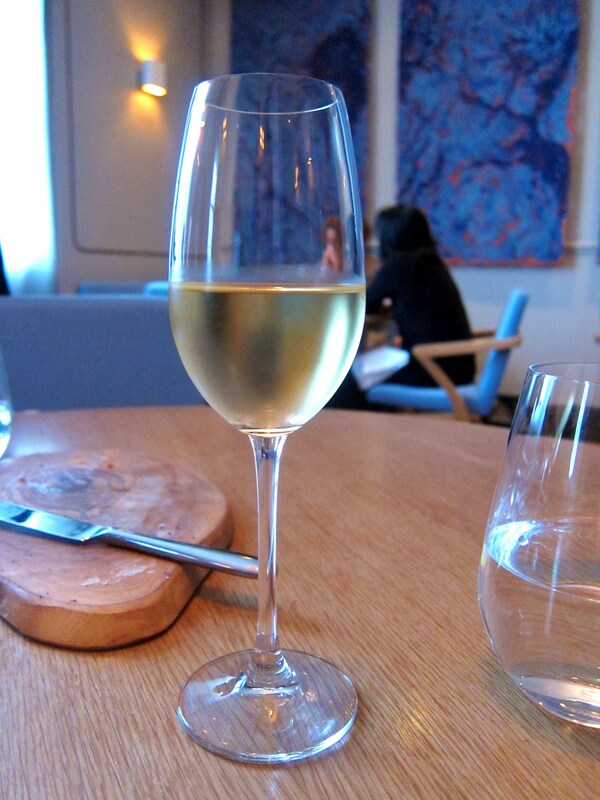 Just before our first plate of food arrived, the sommelier stopped by to ask us what we wanted to drink. There was apparently a pairing for the meal (also very reasonable at £15), which seemed to be the only option from what we could make out from his very rushed and awkward spiel. 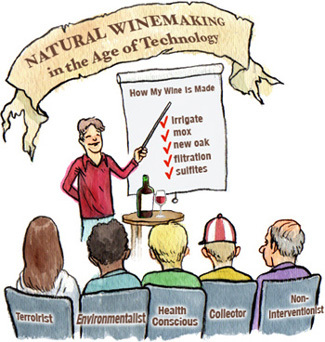 So, presented with no other real alternatives, we said ‘sure’. 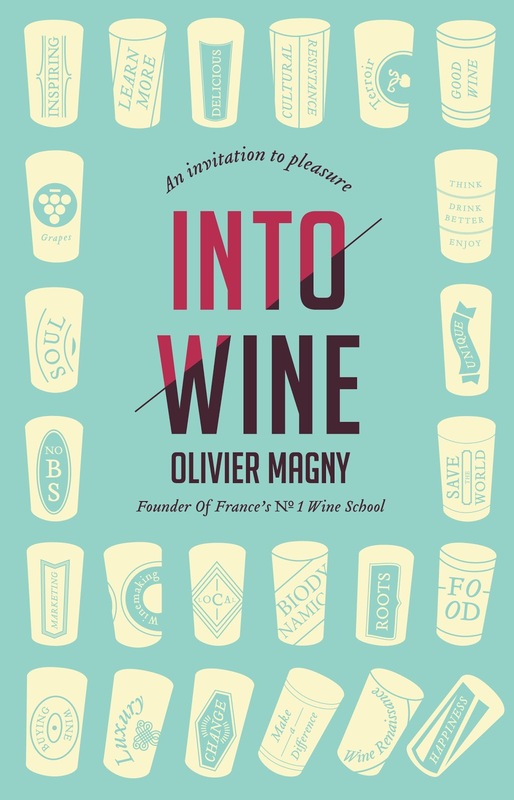 He did initially come across very odd for a restaurant that I would imagine places some importance on the pairings of the food and drinks. But before I had much time to think about it, he had disappeared. 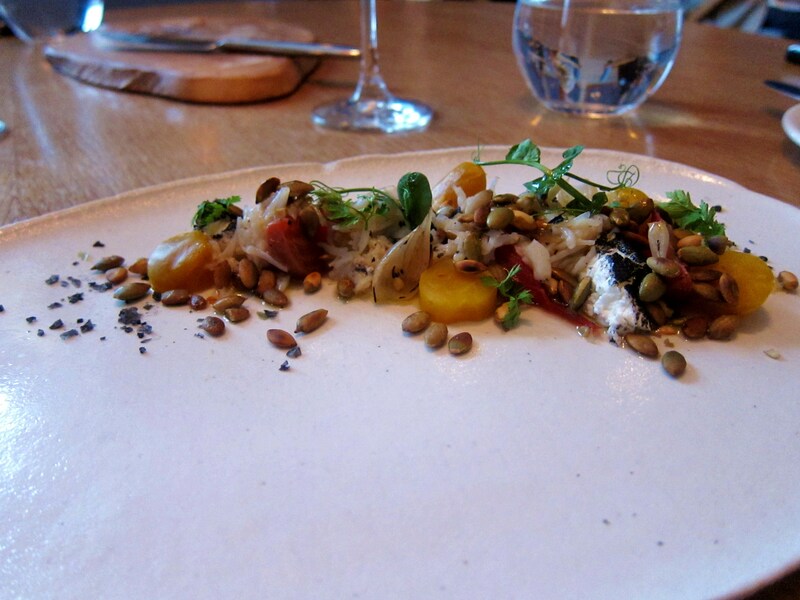 The first dish was delivered on an interestingly textured circular plate, and we were told nothing about what was on it – this was part of the game, I suppose. Although the sashimi looked like a red fish of some sort, it was merely visual trickery as the deep red substance was in actual fact watermelon which had been slow-cooked and slightly charred. 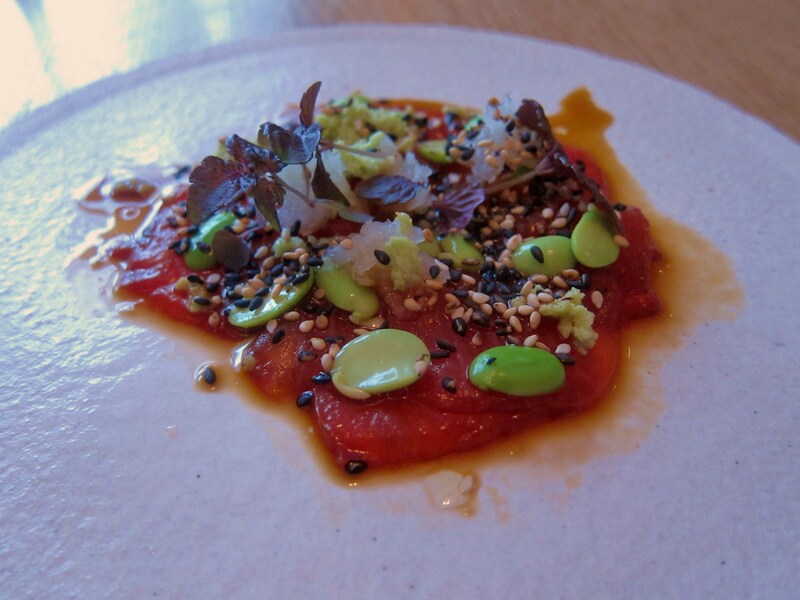 The melon had been topped with a variety of elements, including soy beans, sesame seeds and micro greens. It was a successful and refreshing start to the meal, and the textures worked well together to create some interest in the mouth. The only thing odd about it (besides the fact that ‘sashimi’ didn’t refer to fish) was that we were only brought one plate of it, and were meant to share it, which was slightly awkward given that we didn’t have little plates of our own. 7/10. 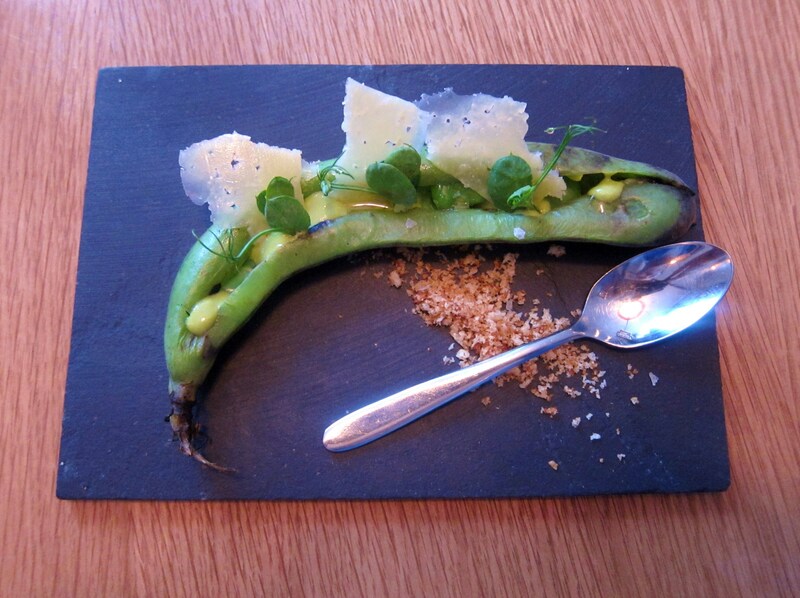 Next, a roasted broad bean was presented on a small square black slab of slate. Inside the beautifully presented specimen lurked a cream of the peeled beans themselves, which was pierced by three square shards of São Jorge cheese with a thin snake-like link of pea shoots residing on top. On the side, there was a dusting of toasted brioche crumbs. 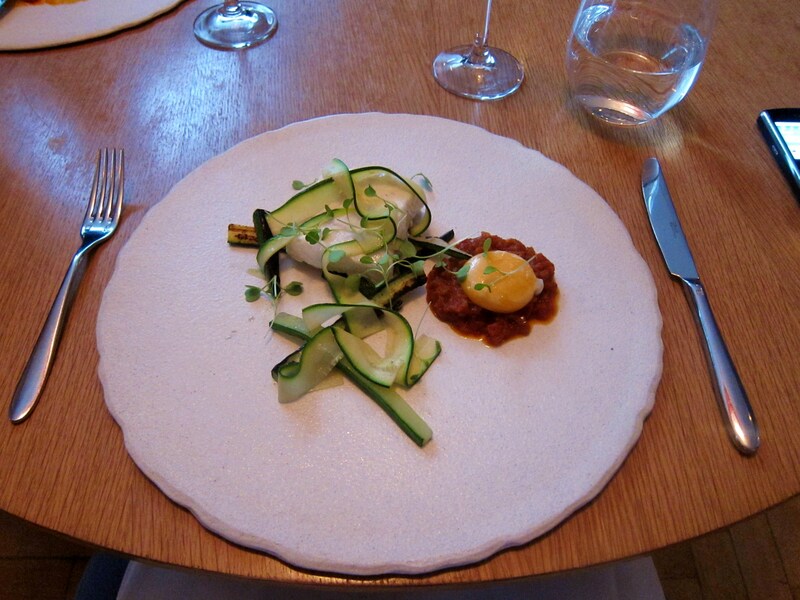 It was a beautiful and dainty looking dish and it tasted very good. The peas themselves were just slightly seasoned, allowing their delicate natural flavor to shine, and they had a lovely soft texture. The cheese brought a nice sharpness to the dish, and I ate it with some of the crumbs which added a pleasant crunchiness. 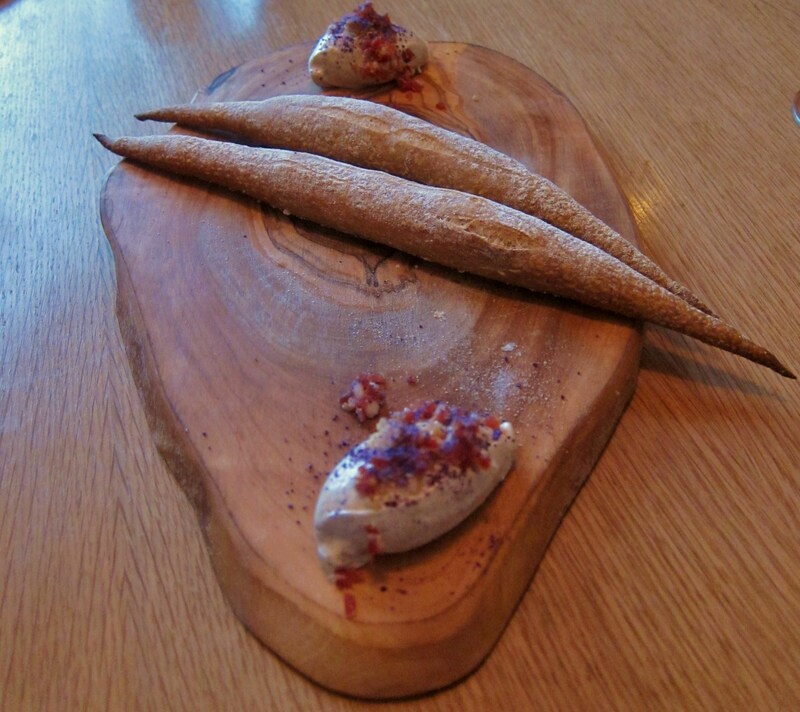 This was a very good second amuse, and further illustrated the inventiveness of the kitchen. 7/10. The third of the amuses was an Eastern offering. 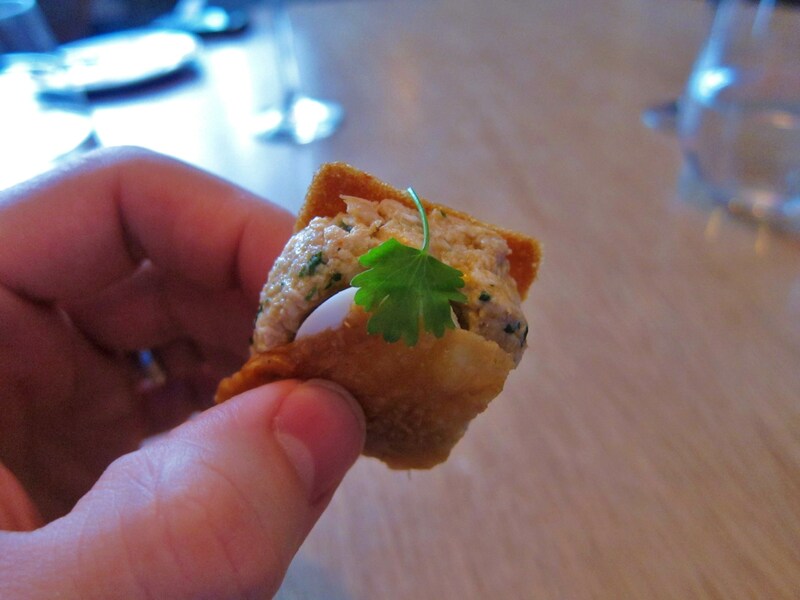 We were instructed to each take one of these miniature parcels in our hand off of our server’s plate and immediately pop it in our mouth and eat it in one bite. I took a quick photo of it, and didn’t really get the chance to ask what it was inside it. I believe that the exterior shells were made up of crisp bread on one side and crispy chicken skin on the other. Inside it tasted of an ever-so-sweet green Thai curry, with a gentle heat that lingered at the back of the throat after it had been eaten. The little coriander leaf was artfully placed on top and the flavor complemented the ‘explosion’ well. 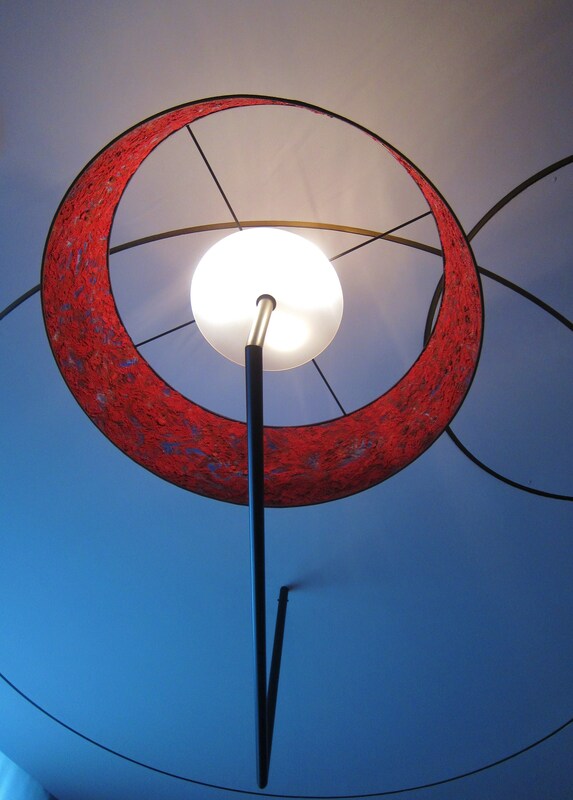 It was subtle and elegant, but it wasn’t out-of-this-world. 6/10. The feast of amuses continued, and was brought to a brilliant finale with two ficelles (thin baguettes) and two artfully presented scoops of whipped brown butter – one pairing for each diner. The ficelles themselves were extremely well made, and were probably some of the best baguettes I’ve eaten the in UK. They were perfectly crunchy and had a lovely softness inside. The real master stroke here though was the whipped brown butter. It was extremely light, slightly rich (with notes of caramelization, likely due to the fact that I believe it had been whipped with brown sugar), and it was garnished with purple potato powder, pancetta crumbs and bits of crisp chicken skin. I could have easily continued eating wooden tray after wooden tray of this brilliant combination well into the afternoon. 9/10. The first course of the meal proper was an artfully arranged plate of food, to say the least. Unfortunately, I felt this dish didn’t quite come together, despite its curb appeal. The flavour of the crab itself was almost entirely buried beneath everything else, while the ‘textures’ of the beets really only seemed to be one texture presented in multiple hues (crimson and gold). Also, there was quite a high proportion of goats cheese lying beneath it all, which had a strong flavor that almost drowned out everything else when you took a bite of it. Finally, there were simply too many seeds, so the texture became too crunch too easily. There were also some onions floating about in the fray, which were nicely cooked. Overall, it was style over substance in this dish, which both @gourmetraveller and I felt just didn’t integrate well as a whole. 5/10. 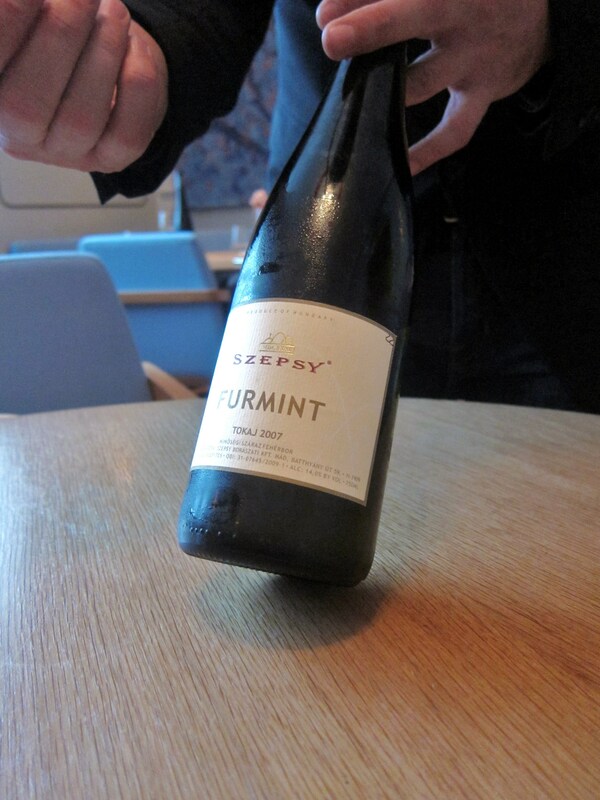 Luckily, the dry Tokaj wine was a perfect match for the freshness of our first course. 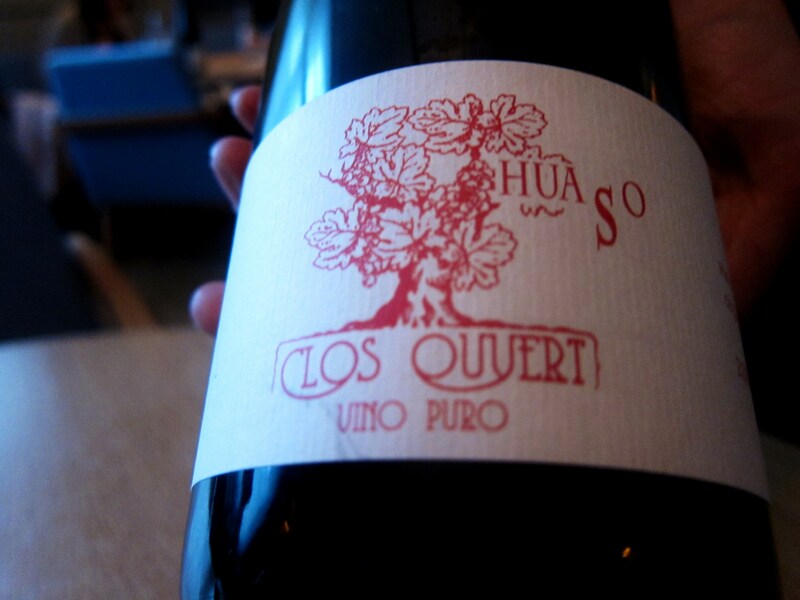 It displayed subtle melon on the nose, had a nice streak of minerality and decent structure but a pretty short finish. I liked this photo, so couldn’t resist including it in the post. The second course was a particularly memorable dish, especially as I don’t care for halibut all that much. The fish itself was cooked absolutely perfectly, and aside from being artistically arranged, the courgettes actually added a nice subtle flavor that married well with the meaty fish. I wasn’t sure how well the deep red sofrito would mesh with the green and white components of the dish, but it did so admirably, maybe because it was quite mild in spice. But the ace up Mendes’ sleeve was the egg yolk, which when pierced produced a perfectly runny bright orange glue which bound the whole dish together by acting as a sauce. The flavor of the little orange orb worked surprisingly seamlessly with the mild fishy flavor of the halibut. It was a fairly simple but genius concoction which I really didn’t expect to work, but which totally proved my instincts to be wrong in this instance. Really clever cooking. 8/10. I found the matching wine to be a rather typical ‘big’ new world Sauvignon, with lots of zing and grassy gooseberry and a touch of something else (maybe peppers). 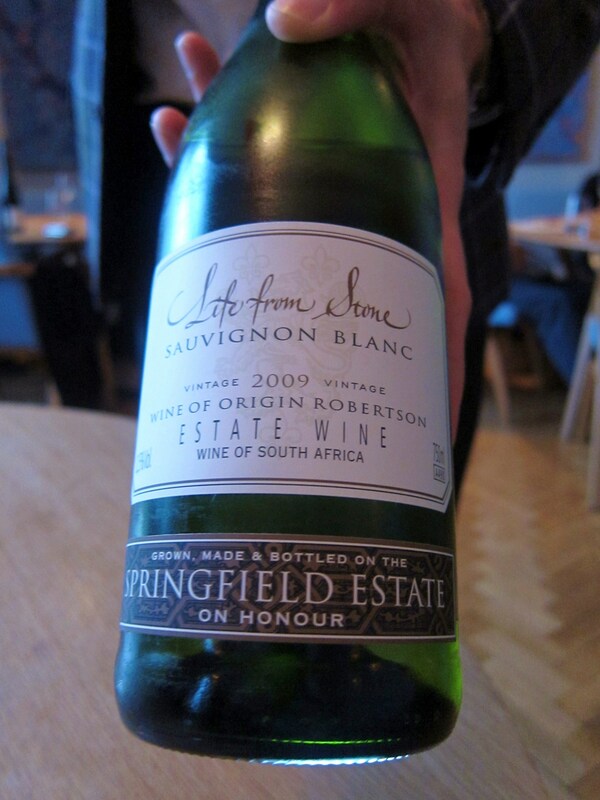 I have to say that while I have gone off this style of Sauvignon over the last few months, it went exceedingly well with the halibut dish, cutting through the fish and sofrito just enough to keep interest on both the food and the wine – it was truly complementary. Another dish, another plate and bowl. 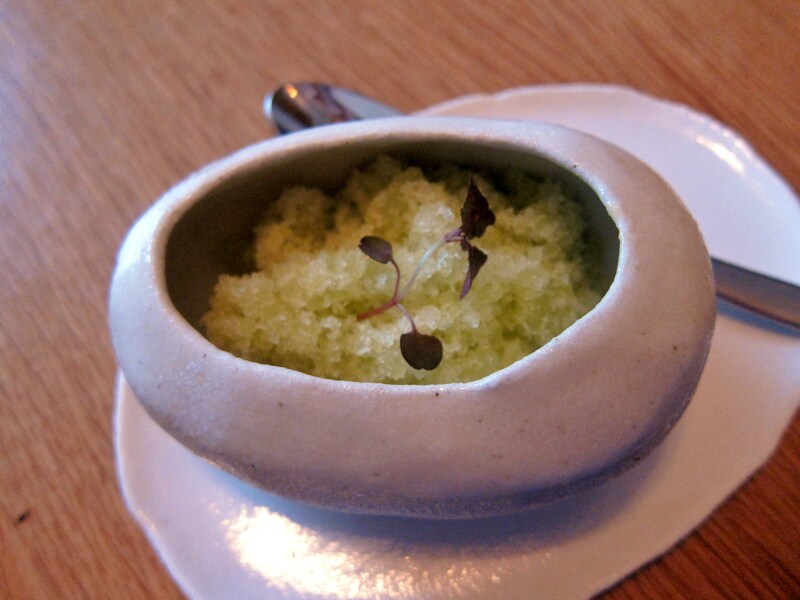 The pre-dessert was a beautifully-presented green tea granita with a bit of sisho (the Japanese name for the green leaf that is part of the mint family) perched on top in the center of semi-open egg shell receptacle. It was mild in flavor but worked well as a palate cleanser. Neither of us had too much to say about this one. 6/10. I rushed into the dessert before I got a chance to snap a photo of it, so unfortunately this picture was taken when it was nearly half eaten…but hopefully you can get a sense of what it may have looked like (again, very pretty – surprise, surprise). 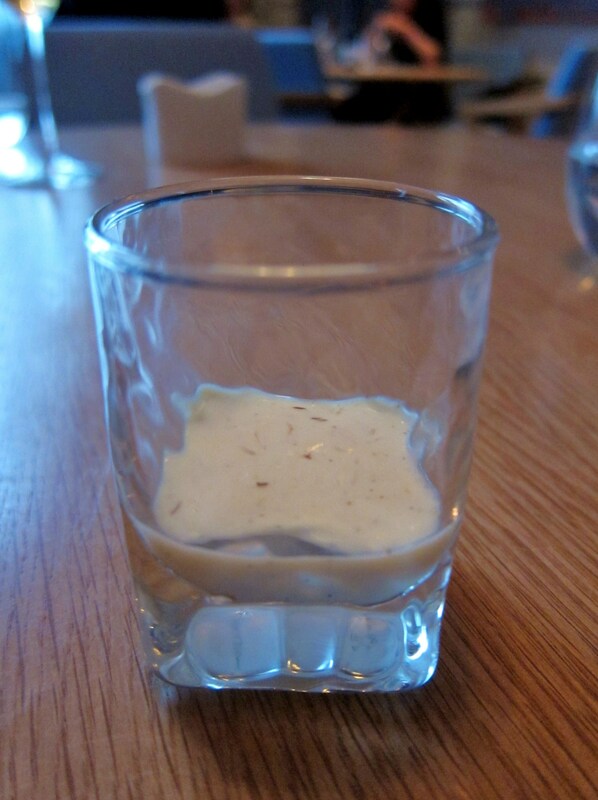 This was a delicate and light dessert which provided a soft closing to the meal. The ice cream itself was excellent, with a luscious texture, and it paired well with the milder-than-expected Thai basil powder. 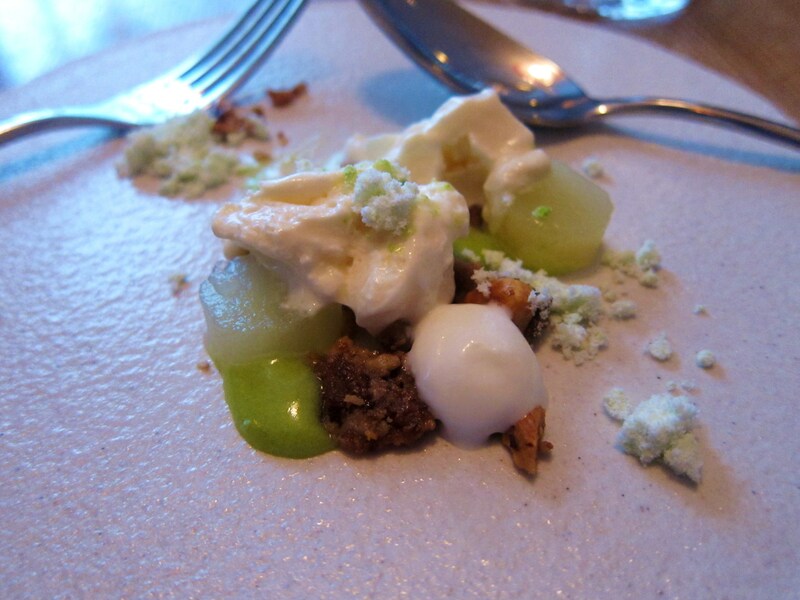 There were also discs of sliced green apples and some excellent toasted hazelnut crumbs. It was a very pleasant sweet, but not too sweet, end to the meal. 7.5/10. By this time, we had warmed to the sommelier a bit more, following the rather awkward initial exchange. I think he noticed we were quite interested in the wine pairings and therefore brought us a sampling of two wines to try with our dessert. 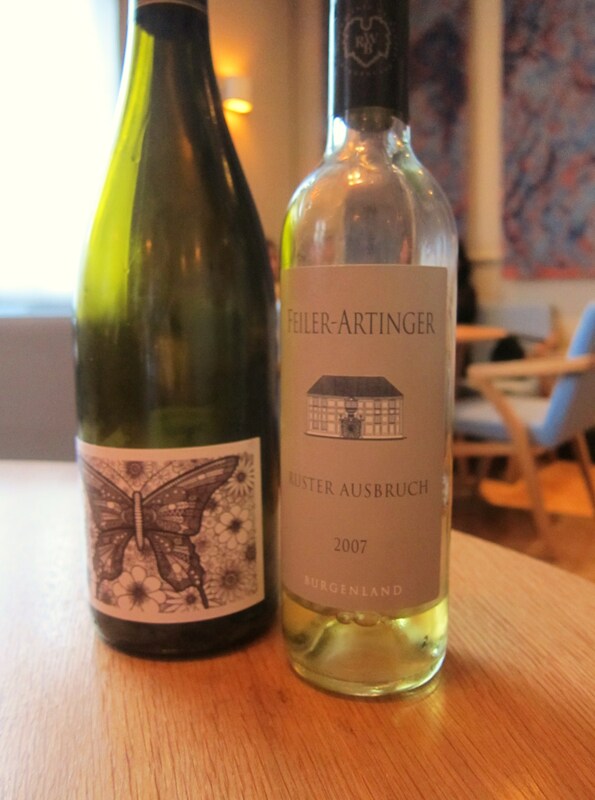 The first was a sweet German wine (2007 Ruster Ausbruch, Feiler-Artinger), which was made from a blend of Pinot Blanc, Riesling, Neuburger and Chardonnay grapes. I found it to be right on the edge of cloyingly sweet and, while nice to drink on its own as a dessert in its own right, it didn’t complement the subtle flavors of the dessert but rather overpowered them with strong notes of honey, caramel and biscuits. The second wine was a simple Vin de Table Français (2007 Julien Courtois, Originel) which was quite dry and actually went pretty well with the dessert, though not perfectly. It was quite odd to drink on its own – not unpleasant, just strange. 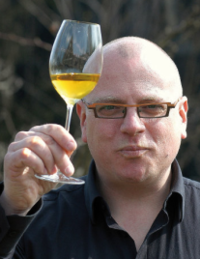 It was billed as a ‘natural’ wine and I believe he said it hadn’t been filtered or fined. 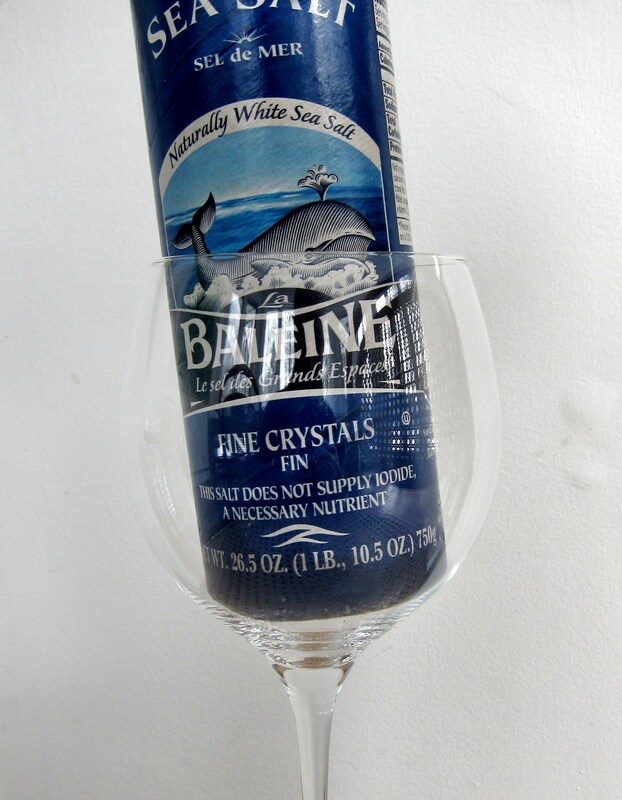 The aroma was very muted to begin with, but both the smell and the taste seemed to develop dramatically in the glass after a short period of time. As I said, it was bone dry and fairly herbaceous, although there was some apple in there somewhere and possibly a touch of honey. It cut through the ice cream nicely and went well with the sweetness of the apple in the dessert. I suppose it was a welcome change from the ordinary as the wine definitely had a character of its own. The sommelier let us try another ‘natural’ red wine after the dessert, which was interesting as it again evolved significantly the longer it spent in the glass. We couldn’t make our minds up as to whether we liked it or not, but certainly found it interesting. It developed some light raspberry flavor and I thought it had a touch of spice at the beginning that faded away after not too long (or maybe imagined it to begin with). But hold your horses; our ‘3-course’ lunch was not yet over. After ordering some coffee (@gourmetraveller opted for tea) to finish the meal off once and for good, we were presented with an array of immaculate petit fours. First, I tried the brown and orange duo which were presented on individual hollow ceramic cubes (each one is slightly different in color and design). The small orange box was a passion fruit and ginger marshmallow with a light crust, which was tasty. 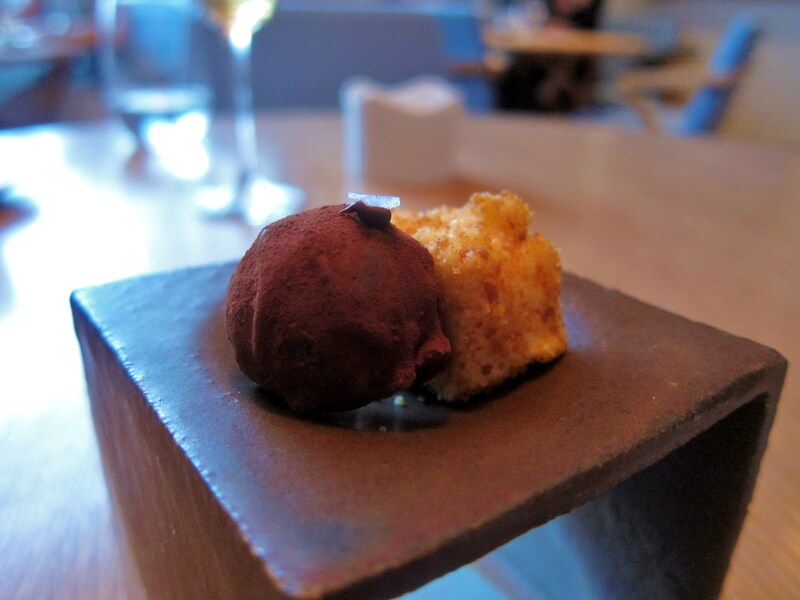 But more interesting was the dark chocolate and cep truffle, that had been topped off with a fleck of Maldon salt. I joked that they should make a ‘truffle’ truffle (i.e. truffle mushrooms in a chocolate truffle), but I guess that might be too obvious for the obviously clever kitchen. Anyway, the truffle worked well as you tasted the flavor of the cep, but not so much that it spoke louder than the chocolate itself. All in all, a delightful pair. 8/10. The other petit four was a fairly traditional Crema Catalana which had been infused with some citrus flavor. The texture was spot-on and the flavor was just superb – I just wish the glass had been half-full and not four-fifths empty! 🙂 8/10. 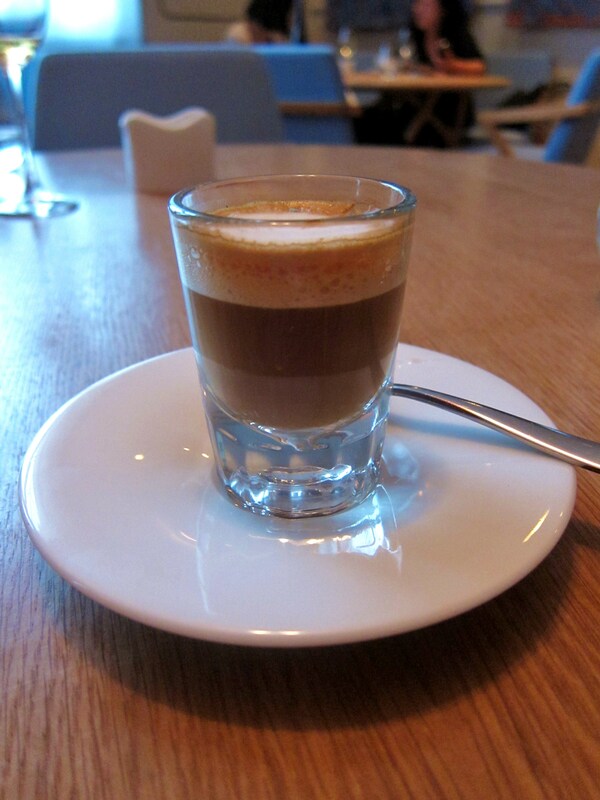 Aside from being one of the most striking coffee drinks I’ve been served in recent times, it was a perfect macchiato. I didn’t ask whose beans they used, but I think it may have been Square Mile. It was one of the best coffees I’ve been served in a restaurant. Or I was quite plastered by this time. 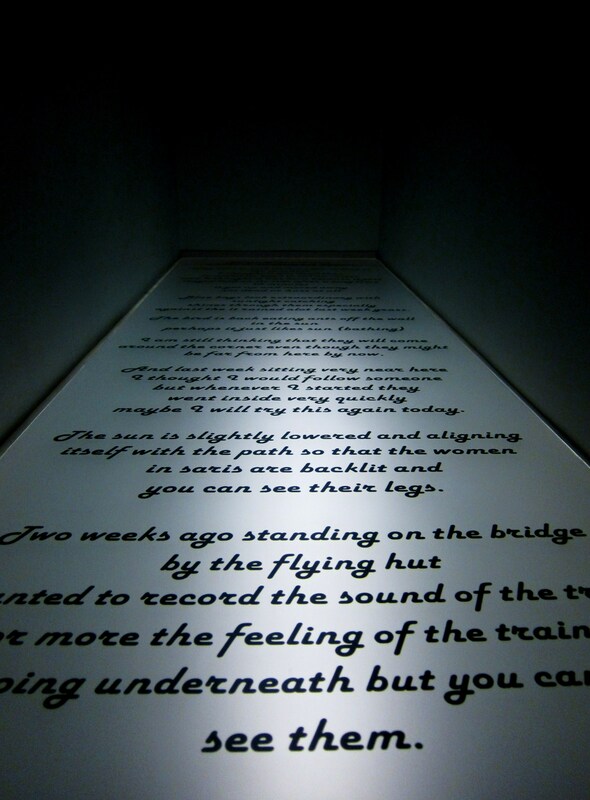 I couldn’t have been all that plastered, though, because I did find my way to the bathroom, ducking beneath a great vertical rectangular sign (or piece of artwork?) on my way down the stairs. 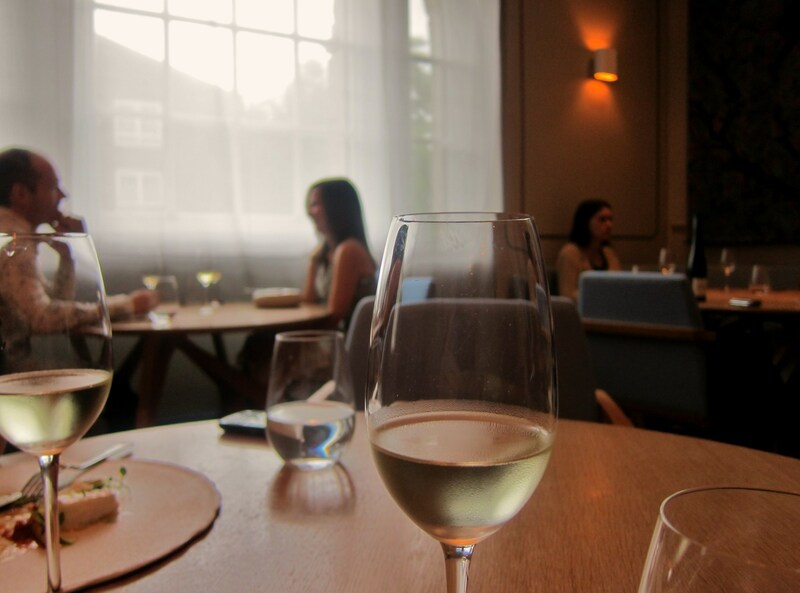 We were meant to continue the enjoyable afternoon by checking in on Ben Greeno, yet another former cook a noma, who at the time was preparing for dinner service at his now-closed Tudor Road supper club. Before heading out, however, Nuno came over to introduce himself – something I believe he was doing with all of the diners. I was struck by his shy modesty and his seemingly genuine intrigue in whatever we happened to be saying. He was exceedingly nice and polite and you could really tell why other chefs would be interested in collaborating with him. He made a distinct impression. As you can tell, I liked the space and design of the restaurant. In our conversation, Nuno had made a point of telling us that every dish was served on its own plate (or vessel) and he clearly believes that the serving medium is an essential component of each dish – indeed, he said that some of their culinary creations had actually taken direction from the shape and textures of the plate that had been selected. This could surely be seen as pretension taken to a new level, but coming from Nuno, it actually seemed to make sense, as did the conceit of the room, although it didn’t seem to be quite fully realized yet. I had similar feelings about the food. All of it was tasty, save for perhaps the crab dish which didn’t do much for me. Every dish – including the not insignificant extras – demanded attention, firstly because they had been presented so beautifully and secondly because (just like the Transformers) there was usually more than met the eye. The sheer diversity of the meal made it fun and engaging, and again reflected the name, and I suppose ethos, of the restaurant. While I don’t think any of the individual dishes will make my “Top Dishes of 2010” (watch this space), the overall experience was intriguing, and brimming with potential. And I don’t think you can find any other place in London serving such inventive food for a £25 meal in which you are given no less than nine individual courses (4 amuses, 3 courses, 1 pre-dessert and petit fours) – for that alone, it is an amazing fine dining bargain. My gut reaction is that Viajante is a place with a certain pedigree that is still in the process of defining itself, and is not in a particular hurry to get there. I, for one, am certainly interested to find out what it ends up becoming, because there is something very different about this place from any other restaurant I’ve visited in London as of late. 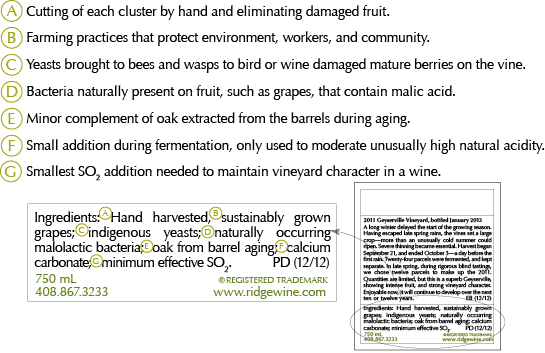 Wine: I didn’t actually see the wine list so can’t comment per se, but they do certainly have an interesting wine program, with a keen and increasing focus on natural wines.